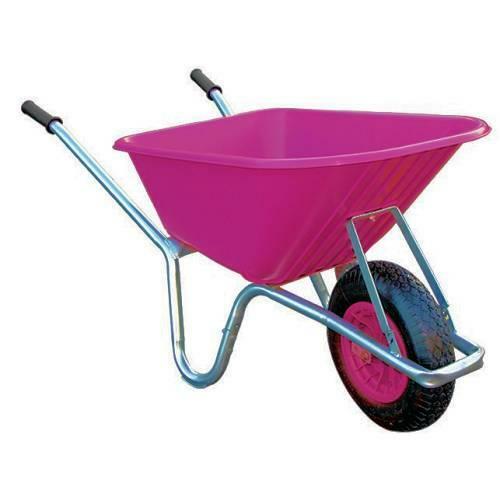 This is a very nice Pink Wheelbarrow with 90 litre capacity. Featuring one-piece frame for super strength. The WB73 90ltr Pink Poly Wheelbarrow Comes with a Plated Steel frame and Stainless Steel Bolts. It's fitted with a front support and it has a 4 Ply Pneumatic Tyre (4.80x4.00-8).